Looking at the principles behind cardioid subwoofer arrays, clearing up common confusions, and learning how to deploy these arrays in the field. Thanks to the proliferation of powered loudspeakers, active subwoofers sporting built-in “cardioid mode” DSP settings are on the rise. But what’s going on under the hood? Let’s take a look at the principles behind cardioid subwoofer arrays, clear up common confusions, and learn how to deploy these arrays in the field. 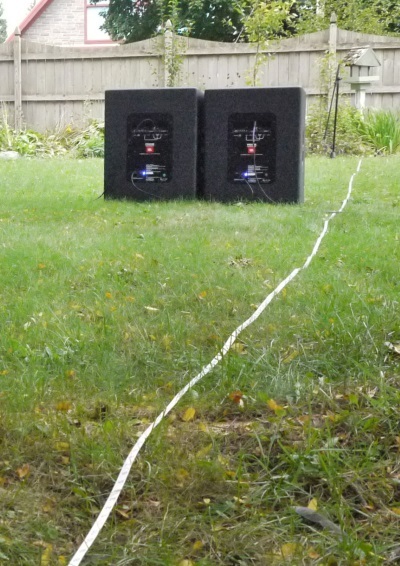 Before digging into how to steer subwoofer coverage, let’s ask why we might want to do that. Unlike full-range loudspeakers, we can’t simply aim subwoofers in the direction we want the sound to go. It’s often repeated that subwoofers are omnidirectional, dispersing their acoustic energy in all directions. Throughout the frequency range in question, the wavelengths are so long (over 37 feet at 30 Hz) that the relatively small diameter of the loudspeaker cone can’t exert directional control over the output. A valid objection to this statement would be that subwoofers definitely sound louder in the front. 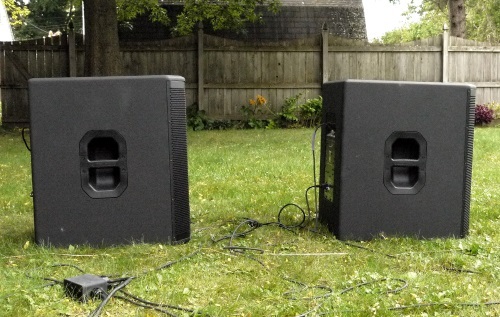 Although subwoofers are very nearly omnidirectional at the low end of the frequency range, the shorter wavelengths associated with higher frequencies means more directional control as frequency rises. Quantifying this requires a big, open outdoor space in which to set up subwoofers and measurement microphones and make a bunch of noise. What’s that, you say? Use my back yard? Great idea. We weren’t too keen on moving the house or tool shed as part of this project, so we see some effect from those boundaries on the following measurements. The distance from which we choose to take measurements will have a pretty significant effect on the arrays’ perceived performance as well, for reasons we’ll discover shortly. We start by looking at a single sub (Figure 2) and we see why there’s a demand for subwoofer beam-steering in the first place. The black trace shows the front response and the red trace shows the rear. Focusing on the two octaves of most interest to sub performance (31 – 125 Hz), we see that the front and rear response levels are similar.